Although it’s hard to believe now, when Star Fox Adventures launched in 2002 it gained largely positive reviews and shifted 200,000 copies in Japan, making it one of the system’s early smash hits in its native region. However, history hasn’t been kind to the game; over time, its reputation has crumbled and many dedicated Nintendo fans now view it as one of Rare’s less essential titles. Of course, much of this negativity can be attributed to the fact that Star Fox Adventures was Rare’s final game as a second-party Nintendo developer - the year before its release, Microsoft paid a total of $375 million to acquire 100% of the UK-based studio, ending its astonishingly fruitful association with Nintendo. The game’s dramatic fall from grace may also be related to the fact that it famously had the Star Fox branding added mid-way through development - prior to that, it was an N64 title by the name of Dinosaur Planet. To uncover a little more regarding the fascinating history of Rare’s one and only GameCube title, we spoke to the game’s Lead Software Engineer, Phil Tossell. 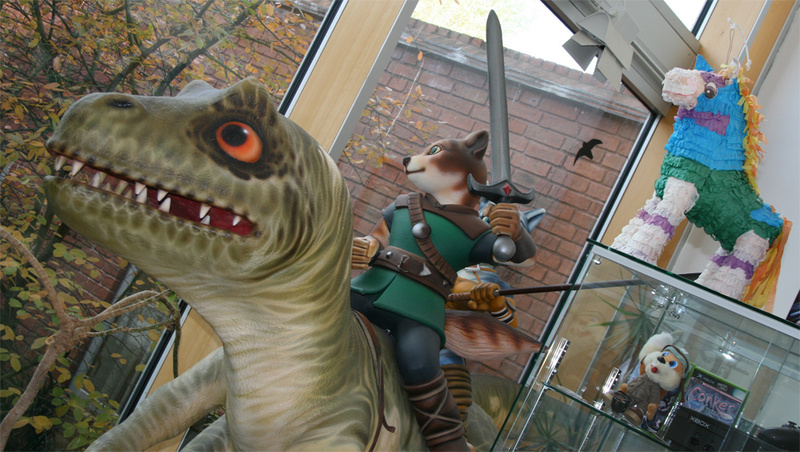 According to legend, Shigeru Miyamoto was shown footage of Dinosaur Planet and suggested that the game should be re-tooled to incorporate Fox McCloud and company. 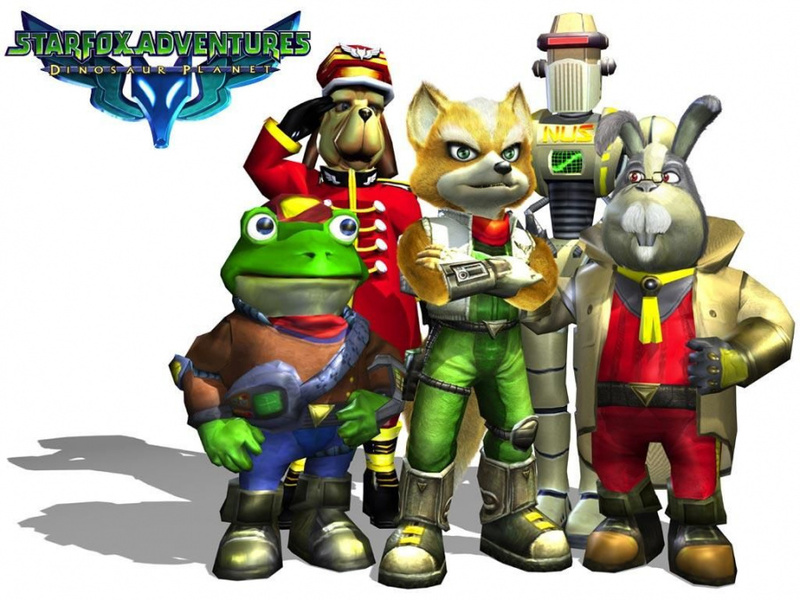 Rumours also abound that the change wasn’t accepted willingly by all of the Dinosaur Planet team, as the plot had to be rewritten in places to accommodate the Star Fox canon. Tossell’s recollection of this period is hazy, largely because he wasn’t directly involved with any of the high-level choices made regarding the direction of the project. “I don't know for sure where the idea originally came from, but I definitely heard it mentioned that Miyamoto-san had suggested it,” he says. 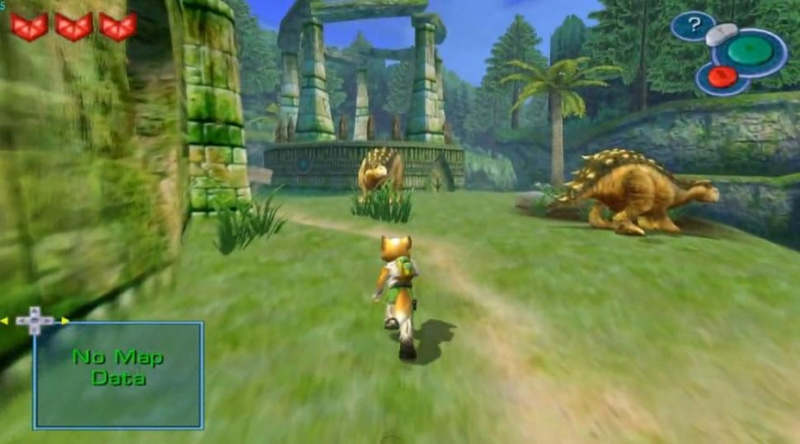 “Of course we were slightly disappointed at having to change Dinosaur Planet as we had all become so attached to it, but we could also see the potential of using the Star Fox licence.” It was around the same time that the choice was made to switch development from the aging N64 to the new GameCube console. "We were slightly disappointed at having to change Dinosaur Planet as we had all become so attached to it, but we could also see the potential of using the Star Fox licence"
"I think the game relied too heavily on collecting things...It was a 'feature' of a lot of Rare's games at the time and I wasn't especially a fan"
"I've had plenty of people come up to me in subsequent years and say that they loved the game and didn't understand why it received so much criticism"
After reading through this, I feel kinda bad for how much I have openly bashed this game. I guess I wouldn't have felt the way I do if it never would have had Starfox attached to it. On its own, the game was cool, but I could not get over Fox and his bo staff skills. It all seemed (and still does seem) ridiculous. I loved Jet Force Gemini, so I really think it was the addition of Starfox that ruined the experience for me. I guess I'm one of the few that actually really enjoyed this game, tempted to dig it out and have a play. Awesome article too Damo! Now that was really good read. I've always thought of Star Fox Adventures as a good game in its own right. It's clear certain things were tacked on, gameplay elements taken from Zelda and certain areas of the game were rushed, but it was still a memorable experience. Of all the Star Fox games, this and 64 were the only two I didn't find plagued with mediocrity. Antdickens, you are not alone I also really liked that game. It had some nice idas here and there and was overall really "ok"
Yep. I knew beforehand that starfox adventures was originally a game called "dinosaur planet"
There is also a few unused dinosaur planet stuff(mostly text & voice clips) lingering in the game archives. I always liked this game, found it really enjoyable (minus the test of fear of course). It was a great game in its own right, and they did a pretty darn good job considering they were turning an on-rails shooter into an adventure game. Might have to fire this puppy up again myself. People have always been way too harsh on this game.. I've always loved this game.. This game gives me sweet memories. I was very poor 10 years ago, and bought myself a second-hand colour tv. I played this game for weeks, till the tv broke. I enjoyed the fluffy skin graphic technique on Fox. Yeah I loved this game from the moment I played it. I know it was so different from other starfox games but damn!... gamers can be hard to please like that. Make too many games the same and they complain that the developers are being lazy. Make too much of a change and they hate it for "ruining the style" or something. Same problem with another maligned but much-loved-by-me GC game, Super Mario Sunshine. I don't know why gamers feel they have a right to write off a game like starfox adventures just because it doesn't fit with their idea of what should be canon... Who cares? It was a cool game to play and one of those ones I finished completely and would gladly play again, more than can be said for most games that come out. Loved this game when I first played all the way through it from beginning to end. Not the best star fox game imo of course but still a great game on it's own. I actually played this game with a good friend of my about a year ago and we both found it very fun still. Star Fox Dinosaur Planet is more of an adventure game above all else and really isn't very Star Fox like at all. Pretty unique game even if it borrows from Zelda and other games. I followed Starfox Adventures from it's Dinosaur Planet days and was glad it had the extra umph that the Gamecube provided. Sure I was a little disappointed that it became a Starfox game as it didn't fit what Dinosaur Planet was to me.. and I have never completed it to this day for this reason. BUT, I still own it and WILL play it again and complete it! I love Star Fox Adventures.. except for 1 small thing.. literally. This was actually my favorite gc game. I really liked everything about it. StarFox Adventures is one of my favourites games of all time. I played this so many times back in the day and would love to see a sequel to it but I think that all the hate found these days toward this game will make sure that it will never happen. I only hope that another starfox command never happens. I wasn't a fan of the game, unfortunately--it felt a bit repetitive at times--but from a technical standpoint it was beautiful. It's nice to read that some of the team thought that adding in Star Fox wasn't a good idea - I personally think it was a mistake on Miyamoto's part, although without knowing what it would have been like/sold like as Dinosaur Planet, who can truly say? This is one of my favourite games. I loved it. Yes, Triky was annoying, but most sidekicks are. 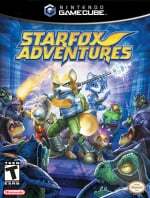 Star Fox Adventures was maligned? I thought it was an excellent game. It's definitely one of the better Zelda clones to have come out last generation. I've always wanted to play this game but just never found the time. Maybe I'll make time for it soon. Awesome interview, so many awesome interviews recently! NL is really going all out for us, thanks! @CactusJackson Really? You felt the first one for the SNES was mediocre too? I never understood the bashing. It was a great game! He is right though, the arwing sequences were tacked on and felt out of place. The ending boss of andross was sill to have there. I wonder what cool final battle would have occurred if it had simply stayed "dinosaur planet"? It was still a great game and I would reccomend it to anyone. One of my favorites GameCube games!!!! Of course. It hasn't aged well whatsoever. Dinosaur planet seems better, and it could have turned out to be the only Rare game I like. @CactusJackson Just like with Dinosaur Planet you should probably be taking it for what it was at the time and not what it is NOW. It makes very little sense to be comparing it to the current generation. In Germany in no way the game had a bad reputation. The very popular Nintendo magazine N-Zone gave it a 91% and declared it to be one of the best Gamecube games of all time. The also well known german internet magazine Mag64 gave it 81%. And they were right. It's a very good game that is reminiscent to Zelda and a must have in every GCN collection. Dinosaur Planet was one of my most wanted games back on N64. Couldn't wait to pick up Starfox Adventures when it finally came out in Q3 2002. I knew it was going to be Zelda-like and not an Arwing shooter. Definately has some of the best graphics on the Gamecube. That atmosphere, particularly at the beach, was great. But it has some of the best music as well. It's full of great music, but I really love 4 or 5 tunes. I liked the way the Starfox was included. Had no problem with the new stuff. Didn't feel strongly tacked-on, was just Fox landing on a new planet, exploring it on foot. And I liked Tricky. And the fantastic item select menu. Why did no one steal this idea (besides the Jet Force Gemini team)? I hope Nyamyam brings Tengami to Wii U! Getting back a piece of Rare! I loved the game and don't understand why it received so much criticism. Interesting article but still a terribly lame game. That is an amazing game! I really loved it back in the days of Game Cube! Whoever talking trash about this game is very very ignorant. This is one of my favorite games, and nothing on the WiiU now looks as good as this did then, especially when they were showing it as an N64 game. Sorry ZombieU, thid eas more original, even if it was a poorly implemented sequel. I consider Adventures the best Star Fox game. Beautiful production art, and cool statue of Sabre and Krystal. I own this game, but have yet still to play it after all this time. I still wish they had made Sabre an unlockable "skin" for Fox. The pterodactyl sidekick sounds fun. I never said it was this or that in present day. I'm not comparing it to anything that has been released this generation either (so stop assuming). The game has looked ugly since the day Star Fox 64 released. Since 1997, everything that Star Fox did on the SNES was overshadowed by its N64 remake making it outdated and showing its true colors. SFA was one of my favorite N64 games. It oozed high production quality, as was typical of Rare games at the time. I appreciated the mix of platforming, adventuring, puzzles and flying. Not to mention the great soundtrack and overall atmosphere of the game. It's all coming back to me now. Ah, good memories. @Crouteru The N64 was limited in its hardware, granted, but for an N64 game, it was quite detailed and had high quality music, two rare things for the N64...wait, did I just use a pun? This games was cool for sure. The only weird thing, was that it literally went on sale to $8 less than a year of coming out at GS stores where I lived... Everyone I knew w/ a GCN had this game, and all liked it. I thought the graphics/audio were awesome when I first played it. I knew nothing about the original Dinosaur Planet idea until later after looking up more aboit the game, even though I do think the original idea looked more appealing(no offense towards Star Fox!) in terms of characters and beta weirdness. Sometimes keeping up w/ game news is a bad omen, and just take Megaman Legends, Dinosaur Planet, and Smash Bros. as examples. I say this because, people see something in particular during development, it vanishes from the result, and leaves them pissed off, or dissapointed sometimes. Really makes you think before you speak poorly of someone else's hard work. 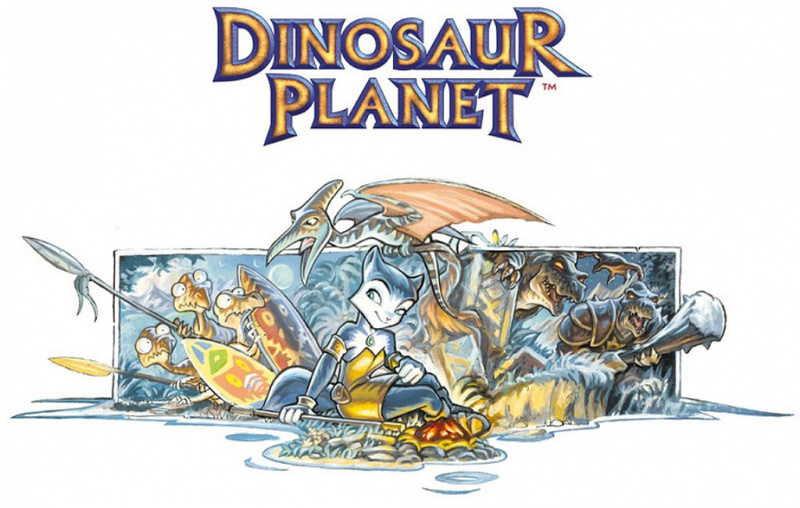 It's too bad we'll never get to play Dinosaur Planet as it was originally intended. I'm sure it would have been another RareWare hit. @True_Hero Your right, never thought about it that way but thats one of the things I really liked about it. The whole beginning part where hes constantly griping about everything as if hes just been dumped into the wrong game. I liked that we actually got to explore a planet in the Lylat system rather than just fly around one, even if it wasn't originally one. Reading the old Star Fox comics from NP always made me wonder what it would be like. Also, you gotta wonder how Dinosaur Planet would have done compared to SFA, or if it was released today. I ended up getting this for chrimbus back in 2002 with a black memory card. The black memory cards were boss, screw the gray ones except for the gray animal crossing stickered memory card. @TanookiMike I feel it would have been a cool Zelda game rather than a starfox game. I totally agree, though it's not a bad game. This is still one of my favorite gamecube games and I play through it probably once a year. It's like a complete paradox when this game came out. First, Microsoft buys rare from Nintendo, then we see this ruinous excuse for a Star Fox. Or do I reverse that? I have fond memories playing this on the first Christmas I had my GameCube. It still looks better than most Wii games did and I got a lot of enjoyment out of it. Sure the voices were annoying but you could say that about other Rare games from the time. Great Read! Next to that is a game that's pretty good in my opinion but should have stayed Dinosaur Planet. I guess the Guys at Nintendo wanted the Rare team to be able to use the Starfox Franchise as a sort of compliment. All in all; great interview! I loved this game. I probably helped that this was the first starfox game I ever played (in fact, the first teen game I played), and that I had not played Ocarina of Time either. It may have been before I played any Zelda game actually, so I had nothing to compare it to in those respects. Even though it is my least favourite game in the series, I still found it enjoyable. Holy crap, I knew so much about this game's backstory that I never knew it wasn't officially titled "Star Fox Adventures: Dinosaur Planet!" I always call it Dinosaur Planet! Anyway, great article! Man, this coupled with the hardware feature on the Tezuka GB Light is incredible, keep it up, guys! @TwilightV - I remember that part. I couldn't do it for the life of me, so I cheated and used the turbo button on my controller. I beat it hilariously fast then. I never had a Nintendo console before the Wii, but I remember wanting one so much because of this game. This was back when I was a kid, and relying on my parents to buy consoles for christmas, and it was strictly a one per generation thing, and I'd gone for the PS2. I never did end up picking it up to play on the Wii because of all the negative press I've since realised it had, but it sounds like the only downside is, it's 'too different' from what Star Fox should be. Considering I've never played a Star Fox, I'm probably thinking I'd actually love this as much as I thought I would, all those years ago. 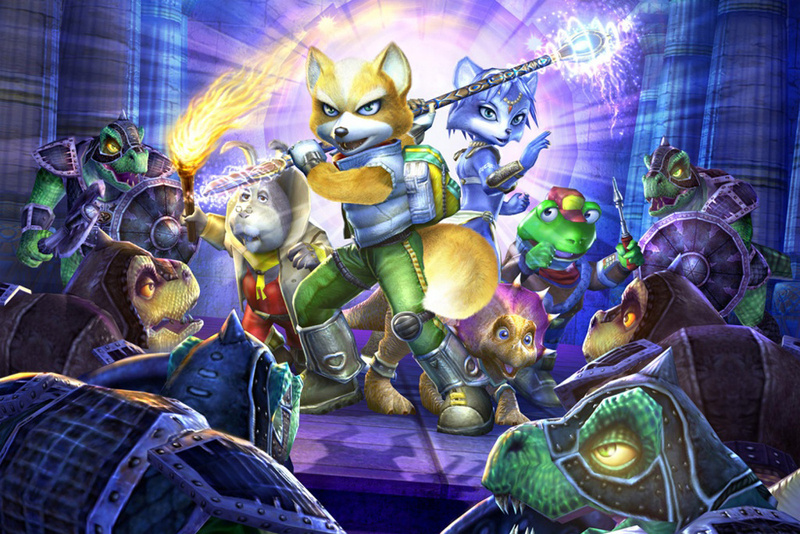 There has never been a bad Star Fox game, including Star Fox Adventures. I have enjoyed every Star Fox title for how different they are and celebrate how I have never felt liked I am playing the same game over again, like many current game series. Yeah, I think this game would have been better and more satisfying if they'd kept the original characters and setting, and if they'd removed a LOT of the unnecessary "collecting lots of things just for the sake of it" that Rare was really bad for back in the day. Other than that it was pretty decent and it had some gret graphics and pretty impressive production values imo. The voice acting however was the usual rubbish from Rare, with the staff doing half of the voice work...and badly imo. I very much enjoyed the game despite it's past. It's just all too bad when I think about the relationship with Rare and Nintendo... I enjoyed those days every second. I enjoyed the game myself yeah it was a bit of a zelda clone and it didn't need fox but as an adventure game over all it was a fun game, and not a bad one for rare to go out on nintendo consoles. liked the game back then and i still like it now! sure it wasn't a S.F. game i asked for but we still got a very great game and i'm very proud and thankful of the quality games of rareware/nintendo era! This game is very enjoyable, in my opinion it is one of the best adventure games i ever played. I feel bad to not own an original copy of this game. I love how people complain about New Super Mario Bros. 2 being "samey", but then complain of how too different Star Fox Adventures is. Double standards, it seems. Anyways, this is one of my most favorite games. It was cool to watch my cousin play this when I was a kid. I haven´t finished it myself though. Tricky is an annoying character, I hate those flying enemies and it´s not as good as Rare´s other classic. Still want to have it as part of my collection since it´s Rare´s last Nintendo homeconsole game and has some good moments too. I admit the game is great, but assault was better. I loved and still love this game. Adding star fox was a shrewd move by Nintendo. Shame they didn't do the same with conker and banjo. Making dinosaur planet a star fox title means they retain the whole IP and code for the game. Way back in its early development, they'd obviously seen no more use for Rareware as its slip started, secured it's current work for itself and then brokered its shares for a fortune. Still one of my favorite game! I enjoyed it throughly and asked for seconds, but that never came about. I probably got and played this game when I was about... six. XD Ever since then is has been one of my most favorite video games. Period. God knows how many times I've played it (just recently finished it again... yesterday. ^^;). Though, I torment myself by reading these comments... It makes me sad to think some (most) people didn't see how amazing this game really was; Whether because it landed as a Star Fox game, or possibly because it took from Zelda. I think that if you would've played it without any prior opinions, such as not having played whatever Zelda they said this took from (too lazy to scrool up and re-read it XD), or any of the previous Star Fox games, you would've loved it. Fo' realz. This was the first Star Fox game I ever played (still is... sadly ^^; Well... I tried out Star Fox: Assult, but... I was too stupid to get past the level - seriously, I was like six! ), and I had never played any Zelda's before it. I think it would've been amazing to play Dinosuar Planet, but I wouldn't wish on my life that they came out w/ DP, instead of SFA. I think it'd be cool if now they came out with DP... Partly because, one of the many incredible things about Adventures, was the graphics. OKAY. I'M DONE BLABBIN' TO NOBODY NOW... BUT IF YOU READ THIS, and you're a "hater" on dis' game, please, for the love of god, just... PLAY IT! StarFox: Adventures is my favorite game of all time, I don't even know what I would do without it. I love this game with all my heart, but like every game it has flaws too. My biggest problem with the game is how long it takes in the beginning before you can actually save. Dx I was emulating this game and it took me closer to an hour before I could save. All well problems aside I still love this game. It will always hold a place in my heart and I really wanna thank the developers for creating a masterpiece. Thank you to the entire SFA Team.